Achieving water security using desalination is now a priority for the majority of Australia's capital cities, all but one of which are on the coast. Using the abundance of sea water as a source, this approach seeks to "climate proof" our cities' water supplies. It's hard to believe now that as recently as 2004 all Australian capital city water authorities relied on surface water storage dams or groundwater for drinking water supplies. Since Perth's first desalination plant was completed in 2006, Australian capital cities have embraced massive seawater desalination "water factories" as a way to increase water security. These were familiar issues in locations such as Perth, where the big dry is epic. For more than four decades, the city's residents have been watching their supply of surface water dwindle. Remarkably, only about 10% of Perth's water now comes from this source. 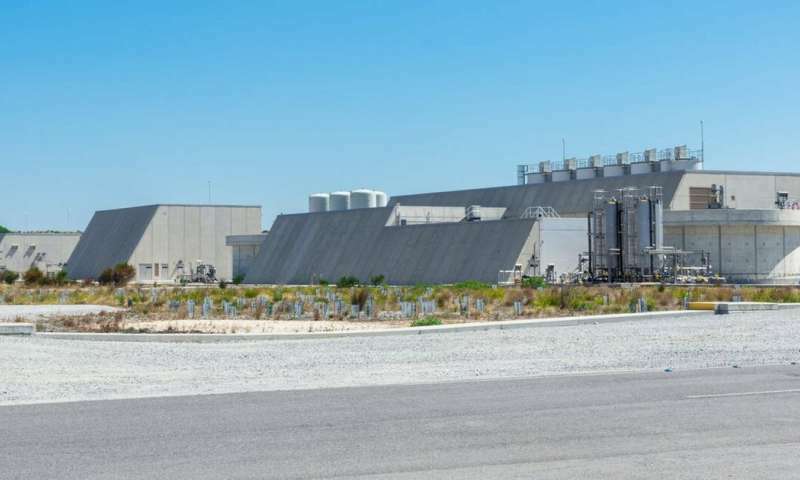 Perth's two desalination plants have a combined output of up to 145 billion litres (gigalitres, GL) a year. That's nearly half the city's water needs. Both have remained in operation since they were built. One by one the desalination plants are being switched back on. Sydney has just begun the process of restarting its plant, which was commissioned in 2010. Adelaide has plans to greatly increase the modest output from its plant this year. The Gold Coast plant, which can also supply Brisbane, is operating at a low level in "hot standby" mode. After a dry winter, Melbourne Water has advised the Victorian government to make the largest orders for desalinated water since its plant, able to produce 150GL a year, was completed in December 2012. Mothballed for more than four years, it supplied its first water to reservoirs in March 2017. The recommended annual order of 100GL from April this year is almost one-quarter of Melbourne's annual demand. Plant capacity is capable of being expanded to 200GL a year. When bushfires recently threatened Victoria's largest water storage, the Thomson dam, the government said desalinated water could be used to replace the 150GL a year taken from the dam. Sydney's plan for future droughts is to double the output of its desalination plant from 250 million litres (megalitres, ML) a day to 500ML a day. This would take its contribution from 15% to 30% of Sydney's water demand. The highest price is in Canberra where residents pay $4.88/kL for each kL they use over 50kL per quarter. The cheapest rate is Hobart's $1.06/kL. It seems simple enough - keep using the plants even in times of plentiful rainfall. That would reduce out impact on the environment. North America needs 100 1000 megawatt fission plants. Oz can probably get away with 20. That would reduce out impact on the environment. Yeah - just like you don't understand the science of the climate - you also obviously don't understand the issue of nuclear power. Where you going to get those trillions of dollars to squander?